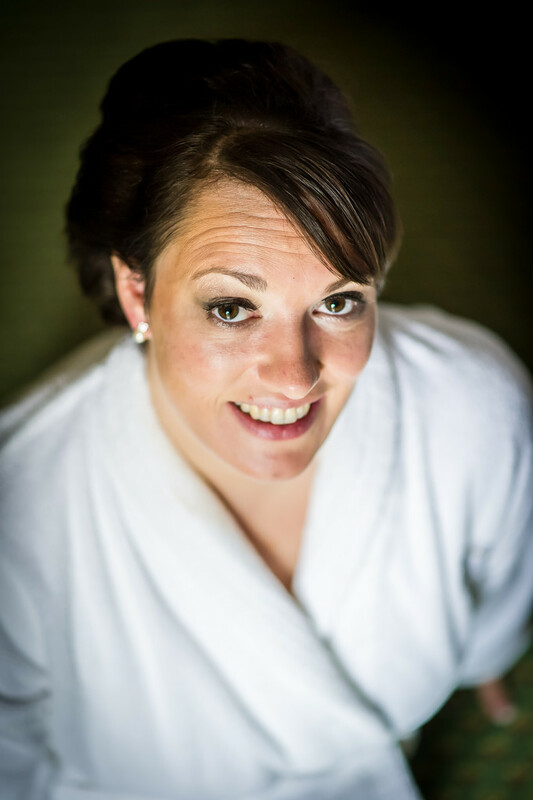 One of the photographs I like to take on a wedding day is of the bride looking up towards the camera. This is a lovely angle for a portrait using an 85mm lens, this lens was the Nikkor 85mm 1.8g which I've since replaced with the 85mm 1.4g for an even shallower depth of field. Normally I'd take one of these with the bride ready in her dress but due to time constraints I had to grab this one while she was still in her robe pre dress, not ideal but sometime you have to work with what you are given. One of the things this image does show is just how wonderful her makeup is. Agreed it would have been better if she was in her wedding gown but sometime you just need to grab the picture while you can, if you wait around for the perfect moment ninety-nine times out of a hundred it will have gone. There were plenty of other occasions during the day to capture this brides dress as can be seen in the image below. We never turn up to a wedding with a preconceived set of images we want from the day, until the day unfolds we never know what we will see, yes we like a bride portrait and the bride and groom together but other than a few ideas there isn't a formula to our image creation.